Following King Henry VII’s victory at the Battle of Bosworth he would have found it vital to secure the throne and produce an heir so when his new bride, Elizabeth of York announced her pregnancy there was great joy in the new Tudor court. 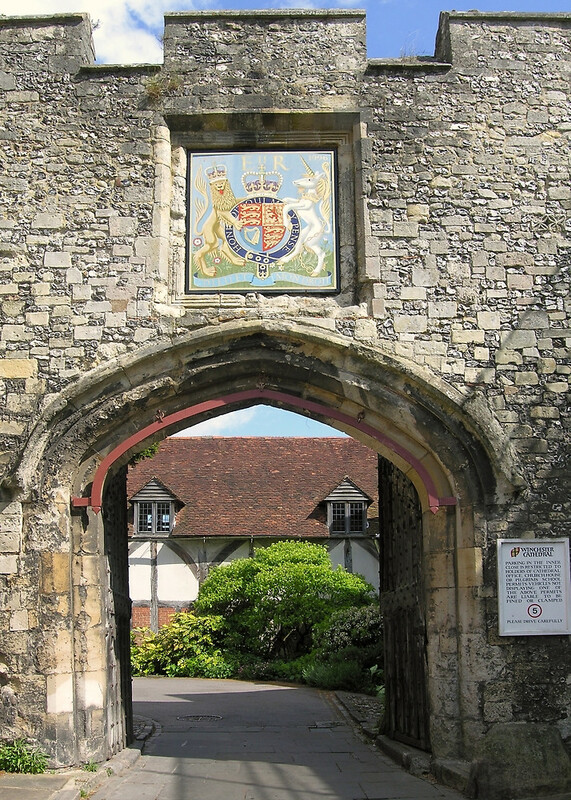 Just weeks before the new Queen was due to give birth; Henry moved his court from London to Winchester, 60 miles away. Henry believed that Winchester was the home of Camelot where King Arthur and his knights of the round table held court, Henry felt a strong connection to King Arthur and had even ordered a family tree to be commissioned that traced his ancestors back to the time of Arthur. The Queen had not been due for a few more weeks but Bernard Andre believed that the upheaval and the long journey caused Elizabeth to go into premature labour and she gave birth to a son in the early hours of 20th September 1486 at St Swithun’s Priory. Upon Arthur’s birth he was bestowed the title of Duke of Cornwall and his birth firmly cemented the union between the Houses of Tudor and York. Messengers were sent out and bonfires were lit across the country to announce the birth of the new Prince and Te Deum’s were sung in Cathedrals up and down England to celebrate the arrival of Arthur. Due to Arthur’s early birth plans for his baptism had to be brought forward to the 24th September, with the King hoping that four days would be enough time for people to arrive at Winchester for the celebration as due to the early arrival key peers such as John de Vere, the Earl of Oxford had not yet arrived at the new court, in fact he was still at his home in Lavenham, Surrey over 100 miles away. On the morning of the 24th September the Earl of Oxford, who was a godparent to the new Prince, had still not arrived. King Henry had been informed that Oxford was within a mile of the ceremony and so the decision was made to postpone the beginning of the baptism. However, after three hours, Oxford had still not arrived and the congregation was getting restless so Henry intervened and asked Thomas Stanley, his stepfather, to act as a proxy godparent. With this agreed Henry returned to being out of sight, as was the protocol at baptisms, and ordered the ceremony to begin. With the ceremony underway the priest was beginning to name the child when Oxford entered the Cathedral, Oxford then proceeded to take Arthur in his right arm and presented him for his confirmation. Arthur’s other godparents would be William FitzAlan, Earl of Arundel, Elizabeth Woodville, Dowager Queen and Arthur’s grandmother and Cecily of York, Queen Elizabeth’s sister and Arthur’s aunt. Following the ceremony Arthur was taken back to his mother, who had not been present as tradition dictated and would be missing from the court until her churching, which normally took place 60 days after the birth of a child but Elizabeth’s churching took place just 40 days after Arthur’s birth. Arthur was carried by his aunt, Lady Cecily and was followed by a procession that passed through the nursery with the King’s musicians. Arthur was then delivered back to his mother and nurses whilst the court went and continued celebrating the new heir to the Tudor throne. Arthur’s nursery consisted of Lady Darcy who was in charge of the nursery itself, a position she held previously with King Edward IV’s son, Arthur’s wet nurse was Catherine Gibbs and his rockers were Agnes Butler and Evelyn Hobbes. Arthur Tudor was idolised by his mother and father who viewed him as the future of the country until his untimely death in 1502. 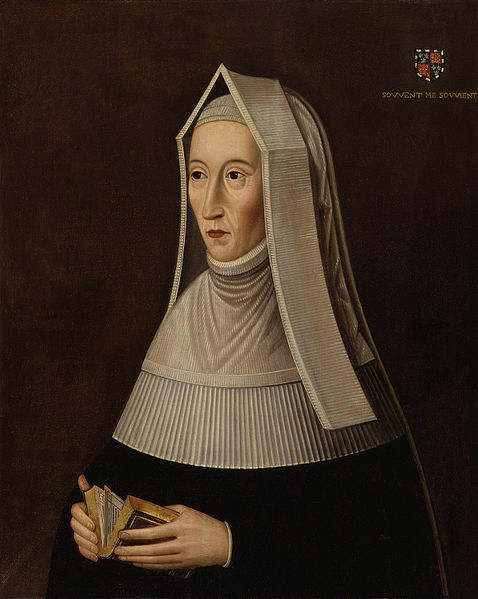 Margaret Beaufort is considered the matriarch of the Tudor dynasty who worked tirelessly to put her son, Henry, on the throne but her life was not always that easy. She was born on 31st May 1443 at Bletsoe Castle, Bedfordshire to Margaret Beauchamp and John Beaufort. Margaret’s father was the great grandson of King Edward III through his third son, John of Gaunt and his mistress (and later wife) Katherine Swynford. Upon Margaret’s first birthday, with her father dead and Margaret now a wealthy heiress, her wardship was given to William de la Pole, 1st Duke of Suffolk. It was here that her first marriage was arranged to William’s son John de la Pole, it is unsure whether this was a marriage or just a betrothal between the two young children. It is believed that the betrothal/wedding took place in 1444 but just three years later King Henry VI dissolved the union and Margaret’s wardship passed to Jasper and Edmund Tudor. Henry VI arranged for Margaret to be married to his half brother, Edmund Tudor and on 1st November 1455 at the age of 12 she married the 24 year old Edmund. After less than a year of being married Edmund was taken prisoner by Yorkist troops and was imprisoned at Carmarthen Castle dying from the plague months later. He left Margaret a widow at the age of 13 and seven months pregnant. On 28th January 1457 at Pembroke Castle Margaret gave birth to her son, Henry Tudor, in a labour that jeopardised the life of both mother and child. It is believed that she was too young and too slim to withhold the traumas of labour and it is likely this damaged her ability to have further children. Margaret and her new son remained in Pembroke until the castle was given to Lord Herbert of Raglan, a Yorkist. Margaret was son separated from her son who remained in Wales and eventually exiled to France for many years until he returned to win the throne at the Battle of Bosworth. Margaret, now 14, was married to Sir Henry Stafford on 3rd January 1458 due to the couple being second cousins a Papal dispensation was required before they could marry which was granted on 6th April 1457. In 1471 Stafford was fatally wounded at the Battle of Barnet and although he returned to his home he died, leaving Margaret a widow again at the age of 28. A year later in 1472, Margaret married Thomas Stanley in a marriage of convenience. The marriage allowed Margaret to return to the York court of Edward IV and later Richard III. She served both Elizabeth Woodville and Anne Neville in their roles as Queen. Despite the close position to Queen Anne, Margaret was under constant suspicion regarding her son who was considered the Lancastrian heir to the throne. As such King Richard III stripped Margaret of all titles and estates and placed her into the custody of her husband. During her time under house arrest Margaret was in contact with the Dowager Queen allegedly plotting the downfall of King Richard III. Following the death of the Princes in the Tower the two women agreed that Henry would marry Elizabeth of York, eldest daughter of King Edward IV. Henry Tudor landed in Dale, Wales in 1485 and marched towards King Richard III and the Battle of Bosworth where Henry was victorious. Margaret was now the mother to the King of England, a position she had fought for since Henry was a child. In 1499, with the permission of Stanley, Margaret took a vow of chastity in the presence of the Bishop of London. Margaret moved away from her husband and lived at Collyweston although her husband visited her she renewed her vows in 1504. Margaret helped establish many new schools including in 1502 the Lady Margaret’s Professorship of Divinity at Cambridge University. In 1505 Margaret enlarged and renamed God’s Church, Cambridge as Christ’s College, Cambridge, here a copy of her signature can still be found carved into one of the buildings. With Henry now on the throne Margaret was referred to as ‘My Lady the King’s Mother’ and during Henry’s first parliament he passed an act that would allow her to hold property independently from her husband. Despite Henry’s marriage to Elizabeth of York, Margaret styled herself as Queen Consort and spent many hours with Henry ruling the country. She also began signing her name Margaret R in order to show her royal significance. When Henry VII died on 21st April 1509 he made his mother chief executor of his will and she not only arranged her son’s funeral but also her grandson’s coronation. 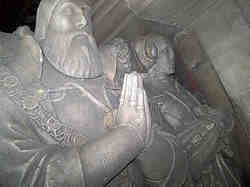 However, just months later on 29th June 1509 Margaret herself died in the Deanery of Westminster Abbey. 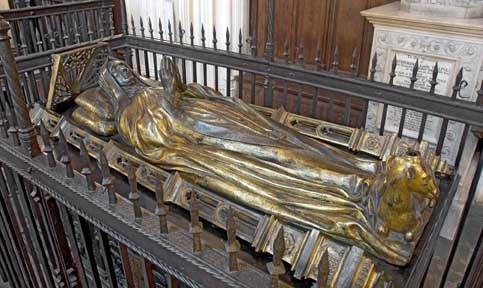 She is buried in the Henry VII Lady Chapel of the Abbey despite her will requesting for her to be buried with her son’s father, Edmund Tudor. 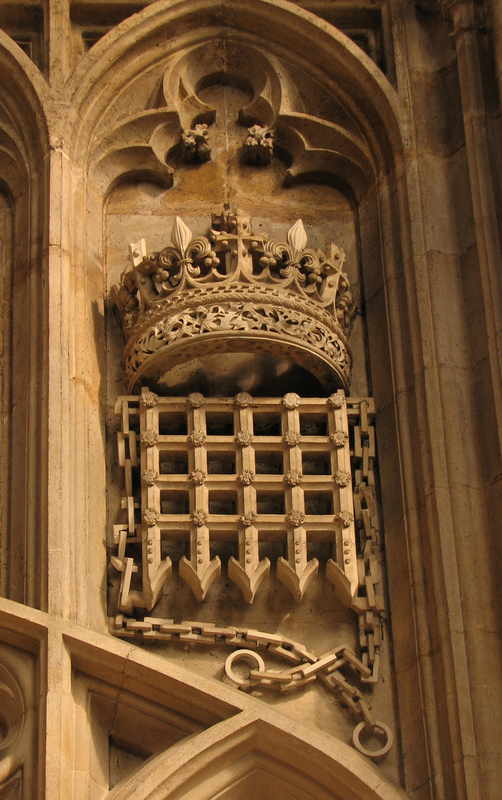 Margaret Beaufort’s influence can still be seen in modern Britain her heraldic badge can be seen across Westminster and Parliament.